Determines whether an outlet is properly wired. Warns against faulty wiring in 3-wire receptacles. Circuit Analyzer checks for various wiring conditions including: correct wiring, polarity reversal, no ground, and test for arc faults. Circuit Analyzer tests for dirty power, bad wiring, poor grounds, ground noise and more. Circuit analyzers need to be in each electrician test tool kit. Determines whether an outlet is properly wired. Warns against faulty wiring in 3-wire receptacles. Circuit Analyzer checks for various wiring conditions including: correct wiring, polarity reversal, no ground, and test for arc faults. Circuit Analyzer tests for dirty power, bad wiring, poor grounds, ground noise and more. Circuit analyzers need to be in each electrician test tool kit. 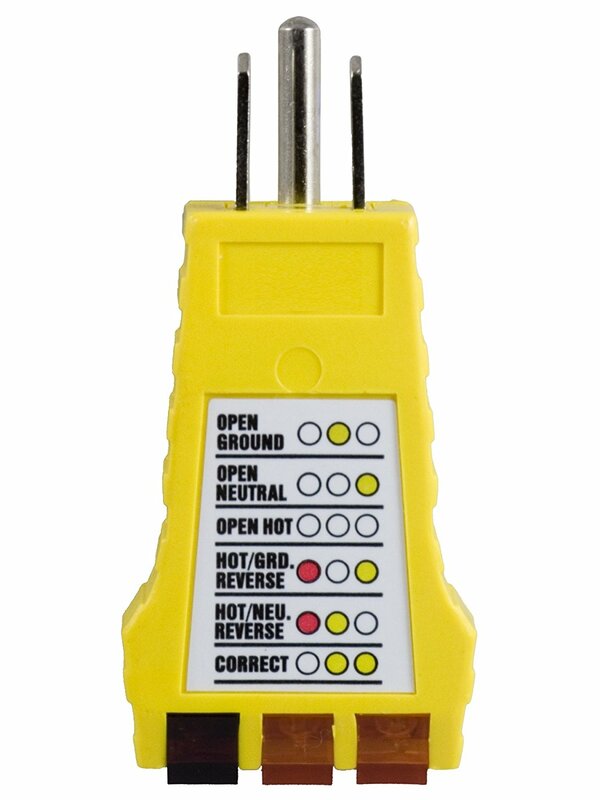 The Power Gear outlet tester has been ergonomically designed for today’s electrical professional. Detects probable wiring conditions in standard 100-125 VAC outlets.